Cleantech products include solar home lighting systems, information and communication technologies, improved cookstoves, and water filtration systems. 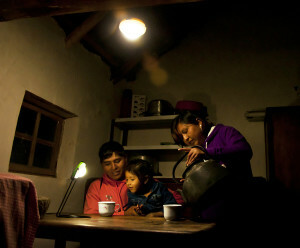 PowerMundo improves access to solar and other clean technologies to empower people in emerging markets. By sourcing cleantech products, building a rural distribution network, offering financing options, and educating consumers about the cleantech products, PowerMundo provides families with the opportunity to redirect their monthly cash expenditures towards cleaner and more efficient energy sources to promote health, education, clean environments, and economic well-being.